Tom is passionate about eco-tourism, nature conservation and local communities’ lives improvement. 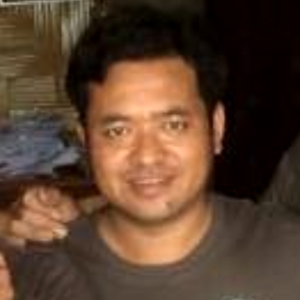 He has 7 years experience in the travel industry, 5 years as a travel guide and 2 years as general tour manager in the leading tour agencies in Laos. He was awarded a few times as ‘Advisor of the year’. Tom graduated from Hospitality, Travel, Tourism and Business and is planning to upgrade his skills at the international college. 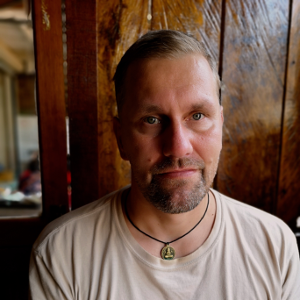 Phonsak, a retired hunter, has been working as an eco-tour guide for over 10 years and specialises in trekking, kayaking, biking and cultural immersion. He worked as a classic package tour guide for 2 years, and then a tour leader for 1 year locally and internationally in: Laos, Thailand and Cambodia. Following this, he worked as a freelance guide for 5 years in a number of Luang Namtha agencies. In addition, he works with local rural development research projects as an interpreter. 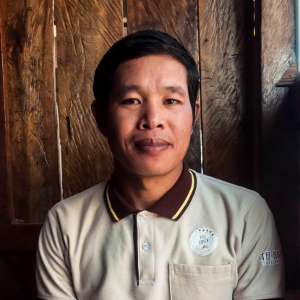 Phonsak comes from the Phu Noy tribe, moving from Phongsaly when he was 8 years old. He grew up in Luang Namtha and living now in Xaisomboun village, where he has his own farm. 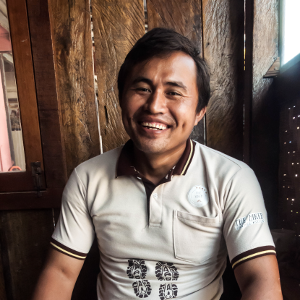 Kird grew up with a rice farming family and lives in a remote village. He started his career in the hospitality industry when he finished his English training course in 2013. Kird is an integral part of running The Hiker office smoothly and confidently and provides vital support to the team to ensure we run as efficiently and ethically as possible. Kird comes from Khmu tribe from the village outskirts of Luang Namtha, Ban Houana. 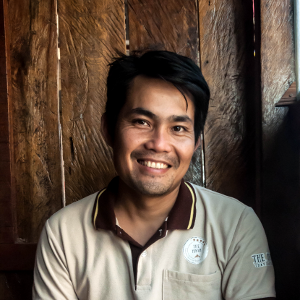 Noy is a retired hunter with a beautiful smile, who left his position as a potter in 2003 to become an assistant guide until 2010. From 2010 Noy started freelancing as a specialist tour guide. He is enthusiastic about creating the best experience for trekkers. This passion led him to his current job and most importantly, his dream career as an English speaking guide. Noy comes from Lao Youn tribe, from Phoun Xai Sa Vang village. Mun is our youngest team member. An excellent student at school, Mun couldn’t attend higher education due to his family situation. However, since 2012 he has had the chance to continue his study in an English training college allowing us to bring him on board in 2015. 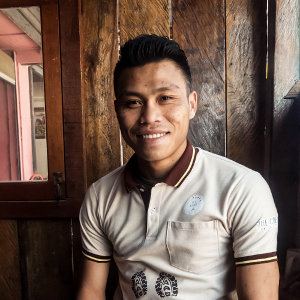 Mun is enthusiastic about his job whilst he continues his studies and can speak English very well. He enjoys opportunities for cultural exchange with travellers and he loves learning new things which helps him do a great job assisting the Office Manager and Tour Assistant to the lead guides. Mun comes from the Khmu ethnic from a remote village. 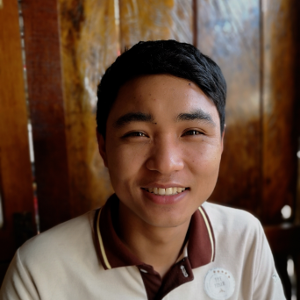 Jaiy joined The Hiker team in 2016, but he’s been a Tour Guide since 2010 and has worked for some of the most prestigious tour companies in Luang Namtha. He loves eco-adventures: trekking, kayaking and cycling. Before joining the tour industry he worked in rice fields, a rubber plantation and an animal farm. In the low season (June to August) he takes care of his farm and collects rubber from the trees. Jaiy is the Thai Dam and comes from the Thong Chai Nuan village. 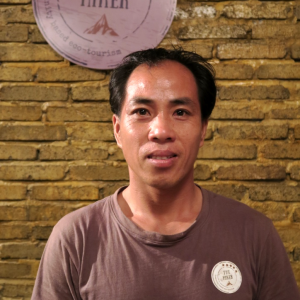 Phuan joined The Hiker as an Assistant Tour Guide in early 2016. He grew up in the jungle of the Na Lae district, and the jungle has always been in his heart – so it should be no surprise that he is always the first to go on surveys to discover new jungle trails! Before joining the trekking industry, Phuan worked on rice fields and rubber tree plantations. He is a great cook and can cook meals to suit any dietary requirements; he can even cook sticky rice in a shaft of bamboo – a very difficult task that not many Lao people can do! In his free time, he takes care of his farm and goes fishing. Phouan comes from the Khmu ethnic from the village Nam Ta Lan. 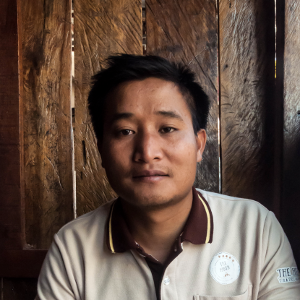 Vong started his career as an Assistant Guide for trekking, kayaking and custom adventure tours in 2005. His vast experience and love for the jungle makes him a perfect guide for every tour. 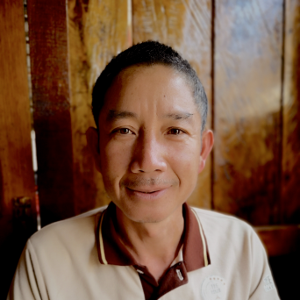 Vong enjoys river kayaking trips and exchanging funny stories with locals and customers. Vong is from Yuan tribe from the remote village Ban Donemoun. Pheng was an English Teacher for 1.5 years, teaching English to Lao adults and children, and to monks in a temple. 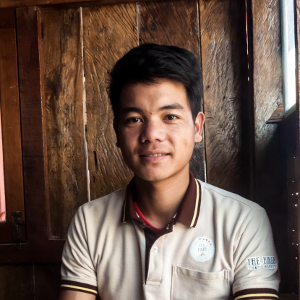 In 2015 he changed his career and became a tour guide, working for trekking agencies in Luang Namtha. In 2018 he joined The Hiker as a Tour Guide and an Office Assistant. He is very enthusiastic about learning new things and enjoys reading and practising his English. In his free time, he helps his family working in the garden and plays football at weekends. Pheng comes from the Phou Noy ethnic minority from Ban Luang village. Air is one of The Hiker’s most experienced tour guides. 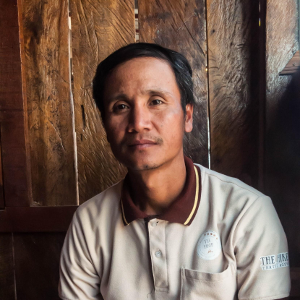 He did his training with the Eco-Tourism Department of Laos back in 2001, and worked for some of the most recognised tour companies in Luang Namtha before joining The Hiker in 2018. He says he is ‘living his dream’ when he is jungle trekking and kayaking – especially when the rapids are big! Air comes from the Thai Dam and comes from the Thong Chai Nuan village. Bunta comes from the Sila ethnic minority, from the village Vieng Thong. 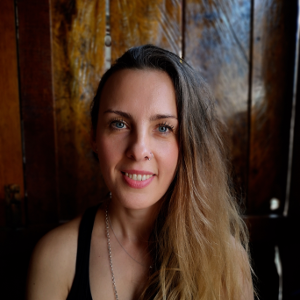 Justyna is an energetic B2B / B2C marketing professional with over 13 years experience in multiple industries, ranging from ICT and construction to gaming, wellness and art. She holds multiple degrees (MA in Management & Marketing, BA in Economics), and a Professional Diploma in Digital Marketing. She leads marketing of The Hiker since the agency was founded. Rene is a freelance journalist and has been with The Hiker since it was created. His focus is on the European market, where he contributes to the development and execution of the group tours from Europe.